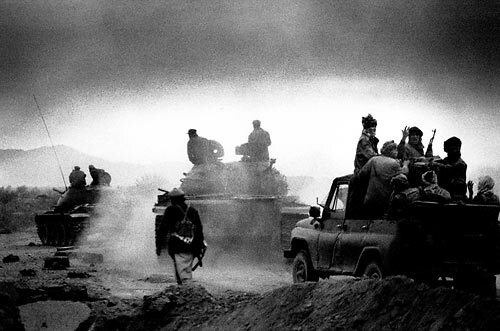 "Pushing on to Kabul" Northern Alliance advance on to Qarabakh, closing in on Kabul . Following heavy US- airstrikes the fighters breached the last Taliban defense line north of the capital, Kabul on the day the city fell. Afghanistan.November 2001.